Create custom items in the menu bar. Is there a better alternative to MenuStrip? Is MenuStrip really the best app in Desktop category? Will MenuStrip work good on macOS 10.13.4? MenuStrip…Take control of your menu bar! MenuStrip allows you to create your very own custom menus that appear in the menu bar or as a control strip placed anywhere on the screen. Add applications, files, or folders to any number of customizable menus. Always have your most frequently used items easily within reach. Create your own fully customizable drop-down menus with your most commonly used applications, files, and folders. 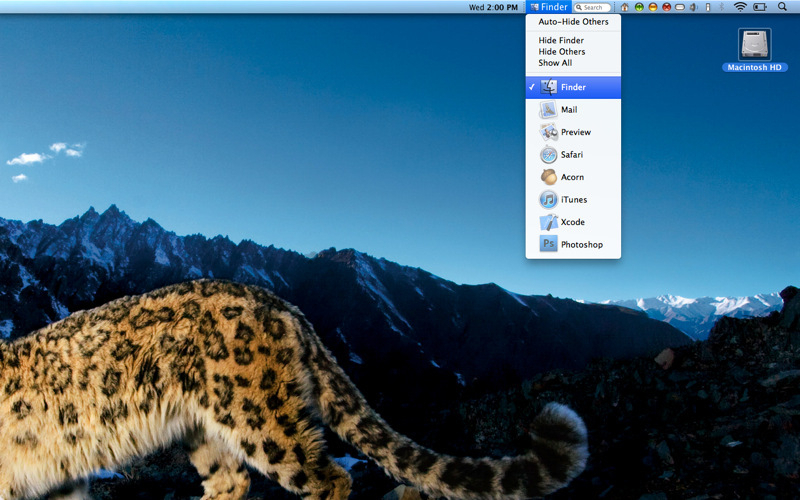 Add shortcuts in the menu bar for all of your favorite applications. Quicklaunch applications and open files simply by typing their name! No more searching through your hard drive to find where you put that important file. Launch, hide, or quit groups of applications at once using fully-customizeable "Action Buttons". Hide background clutter. With the 'Auto-Hide' feature enabled, as you switch between applications all background apps will hide out of the way letting you focus on what you need to do. Chances are if you are using a Cinema Display, or other large monitor, you have plenty of empty space up in your menu bar. Well why let all that valuable screen space go to waste? You paid good money for those pixels! MenuStrip can let you put all that empty space to good use. Create your own menus to sit alongside the standard system menus, or use that space for shortcuts to your most commonly used applications and files. Either way, by using MenuStrip you're maximizing your big-screen investment. Have a MacBook with a smaller screen or have too much stuff in your menu bar already? That's fine, MenuStrip can help out there too. Instead of taking up more space in your cramped menu bar, MenuStrip can display in a small control strip that sits underneath your existing menu bar or anywhere else on the screen. The control strip can also be set to auto-hide; basically it will hide out of view when not needed and then slide onto the screen when you want to access it. This will help you make the most out of your valuable screen real-estate. Custom Menus: Create custom menus with your favorite applications, folders, or files. QuickLauncher: Launch applications or open files by simply typing their name. It simply works better. While there are other menu bar utilities available for Mac OS X, nothing comes close to the integration of features, customizability, value, and ease of use that MenuStrip has. Why buy four or five different tiny $15+ applications when MenuStrip can do it all in one great package? Integration and ease of use has been a priority from the very start.